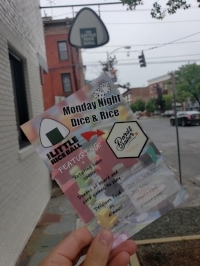 We are so excited to announce that Bard & Baker will be partnering with The Little Rice Ball for a series of Monday Night Dice & Rice popups throughout July and August. JP was kind enough to offer us space to bring a handful of games in order to get a chance to meet you all while we are finishing up construction of our space. The Little Rice Ball will be offering their regular (and fabulous!) 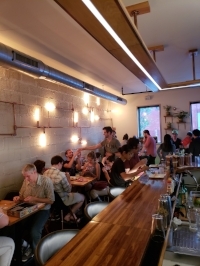 full food menu, along with craft cocktails, and rotating sake specials each night. They will be open 4:30 PM - 11:00 PM, while we will be there 5:00 PM - 10:00 PM, hanging out and playing games. We hope that you will consider joining us for these fun popup nights, as we can't wait to meet you!